Relations between a publicly traded company that’s soon to move its headquarters to Henrico County and its founder appear to have splintered. Lumber Liquidators, the wood flooring retailer that for now is based in Toano, this month sued founder and former longtime leader Tom Sullivan’s new company Cabinets To Go in a lawsuit seeking at least $10 million in damages. Filed initially in Henrico County Circuit Court and transferred to Richmond federal court on March 7, the suit claims Cabinets To Go reneged on an agreement the two companies struck in 2010, when Lumber Liquidators claims it first discovered Sullivan’s involvement in the then-2-year-old cabinet retail business. Sullivan, who founded Lumber Liquidators in New England in the mid-1990s before relocating it to Toano, was chairman of Lumber Liquidators at the time the agreement was struck, as well as one of its largest shareholders and still technically on its payroll as an employee. The 2010 agreement is described in the suit as a memorandum of understanding that outlined a deal through which Cabinets To Go agreed not to directly compete with Lumber Liquidators for 10 years. That included a provision to not sell wood floors, the bread and butter of Lumber Liquidators. Now, nine years later, the lawsuit alleges that Cabinets To Go is selling flooring, in addition to its namesake cabinets, in violation of the MOU. “Despite this clear and enforceable covenant between two sophisticated business entities, CTG is now selling hardwood flooring products both in e-commerce and in retail stores, many of which CTG has located adjacent to Lumber Liquidators stores,” the lawsuit states. Cabinets To Go promptly filed its response to the allegations March 8, claiming the case is an attempted retaliation to a lawsuit by Sullivan’s F9 Properties LLC against Lumber Liquidators in February in James City County, related to an alleged breach of lease and seeking $6 million in damages. Cabinets To Go calls for the latest suit to be dismissed, arguing that the MOU is “defunct and unenforceable” and that it is a “naked restraint of trade” in violation of federal antitrust and other state laws. Lumber Liquidators claims the MOU has not been terminated and remains enforceable. It alleges breach of contract and wants damages of at least $10 million and a permanent injunction to prevent Cabinets To Go from selling hardwood flooring. The suit also states that Cabinets To Go has hired Lumber Liquidators’ former chief operating officer Carl Daniels, its chief legal officer Jill Witter and its head of marketing, Marco Pescara, though none are named as defendants in the case. Sullivan also isn’t named as a defendant. Lumber Liquidators declined to comment on the dispute, saying it doesn’t discuss pending litigation. The company is represented in the case by attorneys David Constine, Michael Lacy and Sarah Howlett from Troutman Sanders’ Richmond office. A message left with Cabinets To Go was not returned by press time. It is represented in the case by Angela France and Sharon Roach of Potter & Murdock in Falls Church, as well as Melanie Damian and Patricia Baloyra of Damian & Valori in Miami, Florida. Lumber Liquidators has 400 locations nationwide and has in recent years battled fallout from a damning “60 Minutes” report in 2015 related to the amounts of formaldehyde in some of its flooring products. That prompted investigations by the U.S. Attorney’s Office, Department of Justice and Securities and Exchange Commission, which led this month to Lumber Liquidators agreeing to pay a $33 million fine to end the matter. 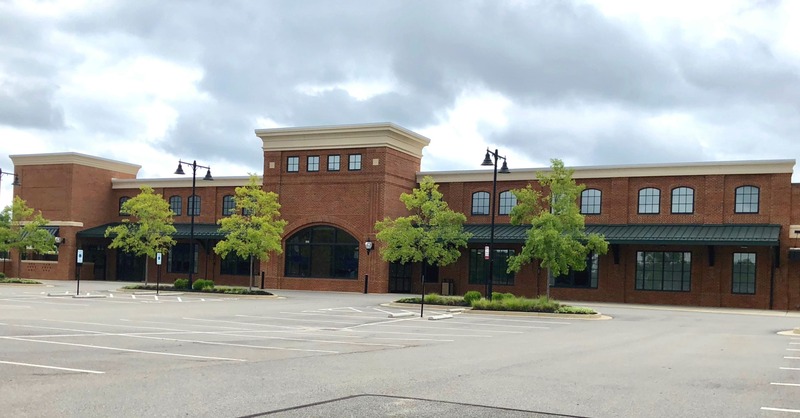 The company also is in the midst of relocating its corporate headquarters from Toano to Henrico, where it will take over the 53,000-square-foot former Southern Season building at 4901 Bakers Mill Lane in Gumenick Properties’ Libbie Mill-Midtown development. The company will house 200 workers in the building. 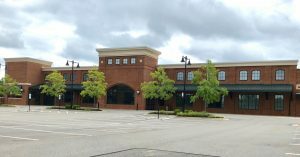 A building permit recently was issued for the property as it begins its conversion into office space. 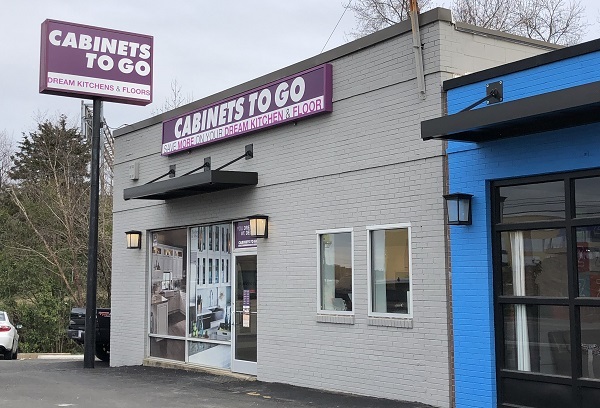 Cabinets To Go, meanwhile, has grown to 60 retail locations, including one in Richmond at 2305 Westwood Ave., and a large distribution facility in Tennessee.